Here at All Service Glass, we repair and replace windows of all kinds in the Gresham and Portland OR area. We know that emergencies can arise in our line of work, which is why we offer same day commercial glass repair. Whether it’s your office, your restaurant, or some other type of commercial property that needs emergency glass services, our trained glaziers will be there in no time to address the situation. You could request our emergency glass repairs for a variety of reasons. Perhaps one of your double-pane windows has developed fog; this means that the seals have deteriorated and are letting moisture in. Before long, the window could develop mold, mildew, and dry rot. Perhaps one of your windows was chipped, cracked, or completely shattered. 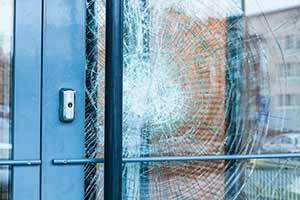 Regardless of what caused it, you’ll want an emergency glass repair or replacement before the security of your business is compromised. Before you call for emergency glass services, you’ll want to take down certain information like the type of window and its dimensions. We’ll ask for it over the phone, provide a free, accurate quote for the replacement, and cut the window at our shop before traveling out to your location. Our glaziers are licensed, bonded, and insured and will follow all building codes when installing your new product. We’ve worked with many business owners and property managers across Portland, Gresham, Clackamas, and Oregon City OR, and we’d be happy to provide you with same day commercial glass repair. For your free estimate, call All Service Glass today. If there’s time, we could discuss whether getting a different window this time would provide more energy efficiency.